I was sure these marshmallow crisp rice treats were not going to impress me. But they did. My aunt had a great recipe for these treats. When I tasted hers, I was gobsmacked – they were much better than the “side of the cereal box” recipe. These crisp rice treats from The Bakery™ (at Walmart) are sooo chewy and moist. 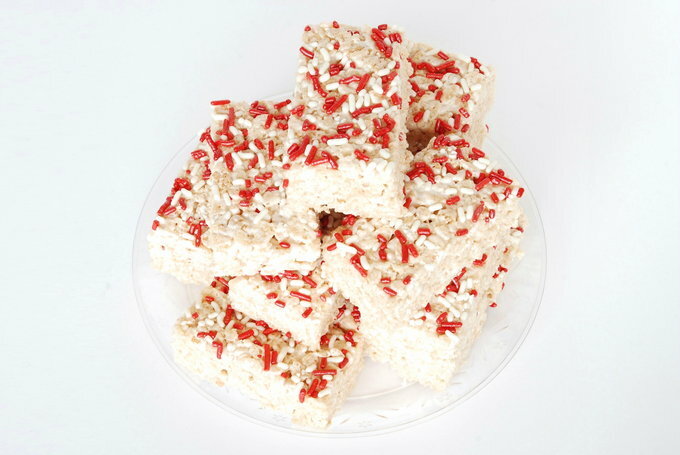 They look pretty – dressed up with red and white sprinkles for Valentine’s Day. 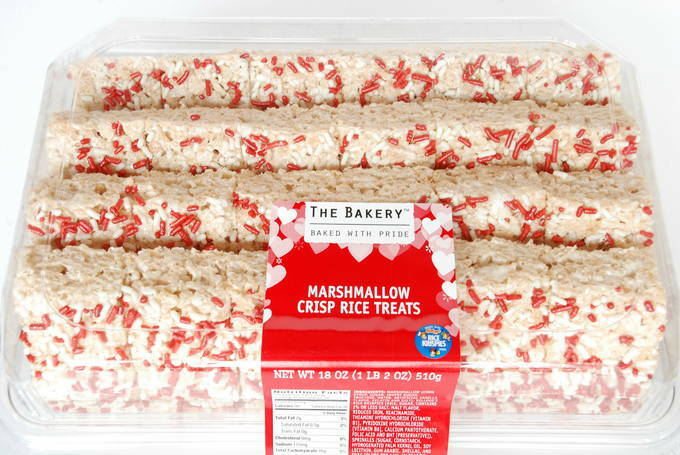 And the package says they are made using Rice Krispies™ cereal. Hmmm. That’s a good start. They were sweet and fresh with a soft, chewy taste. They were a little heavy on the sprinkles, which made them crunchy, but it’s OK cuz they’re cute. The bars are perfectly cut to about 1½ x 2½ inches – a nice size for little ones. And the box held a good amount – 24. It’s a nice treat to take to a Valentine’s Day party. Or you could put the bars in individual bags and give them out to friends with Valentines.